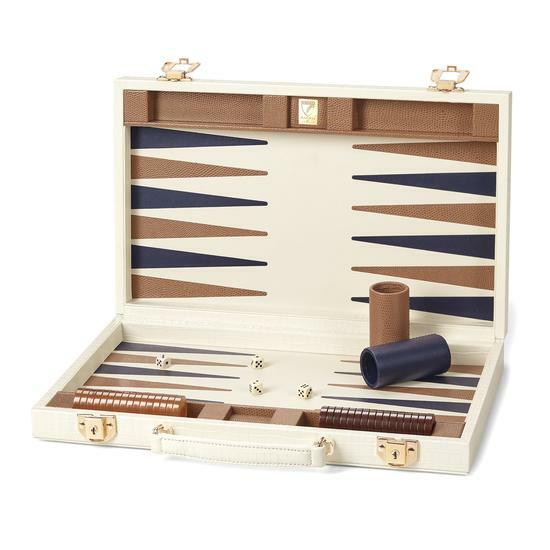 Exquisite craftsmanship make this 15" Backgammon Set both a game to be relished and an heirloom to be passed on to future generations. 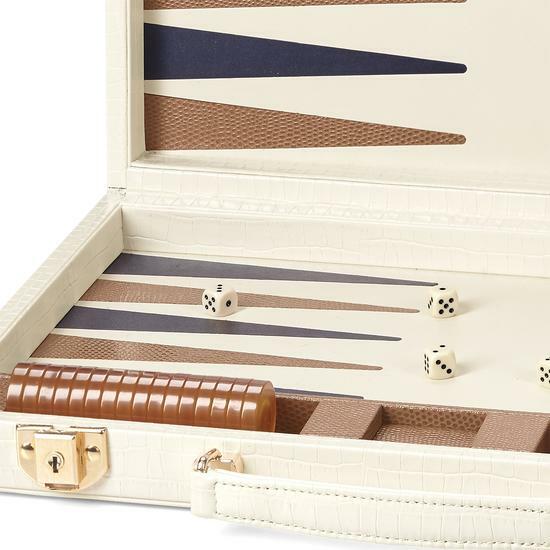 This distinguished set is hand-crafted from durable Italian calf leather in a luxurious ivory small croc and camel lizard finish. 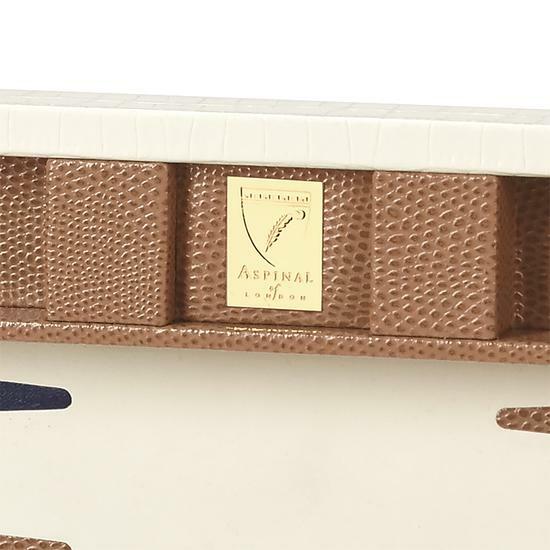 The handmade wooden box frame is inlaid by hand with over 50 pieces of Italian calf leather. 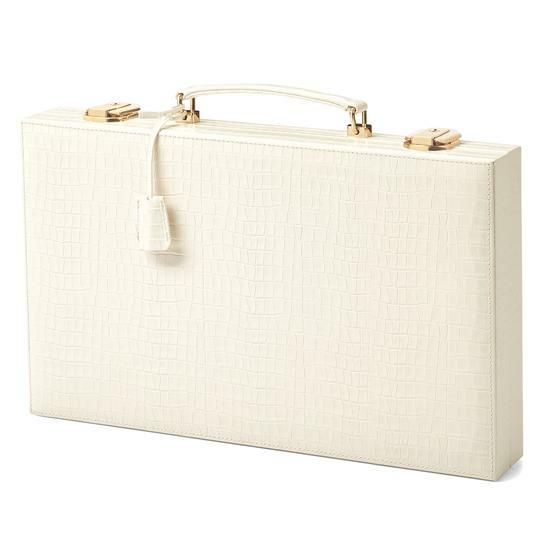 The suitcase-style design makes it easily portable, making it ideal for playing either at home or away. 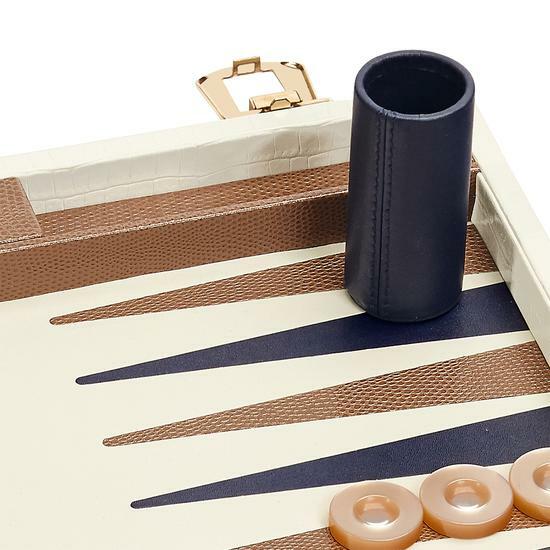 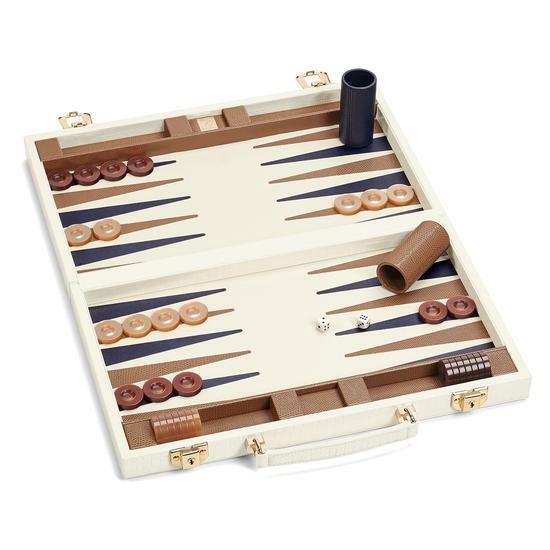 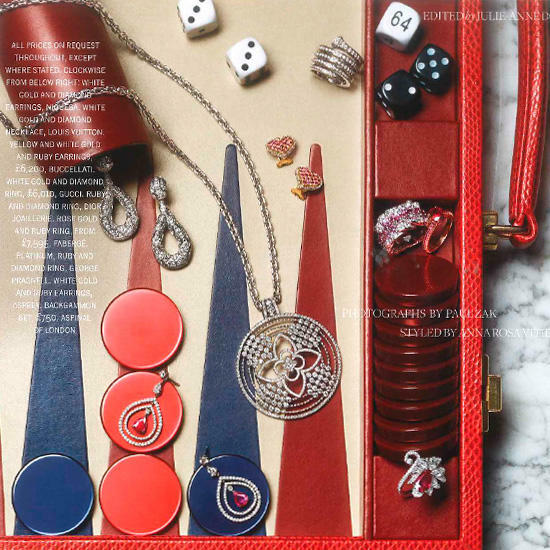 Each Backgammon Set includes 30 polyester chips, 4 standard throwing dice, 2 leather dice cups and a doubling cube. 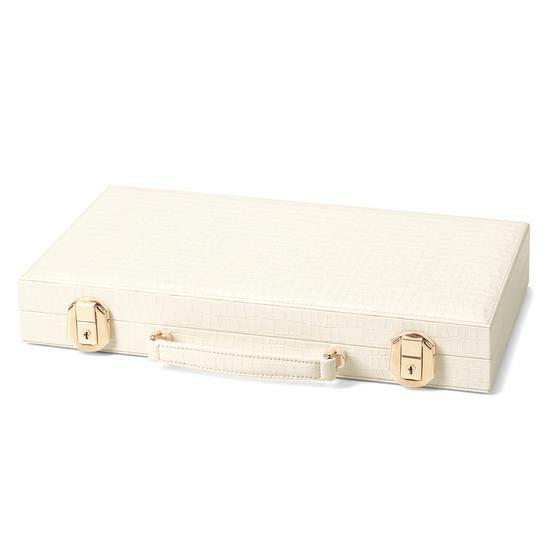 Take advantage of our personalisation service and emboss with up to four initials to create a gift that will be cherished for years to come.